Gatwick Airport is served by regular services from airports across the UK, Ireland and Channel Islands. In the summer we have a weekly Tuesday flight (Friday during October), whilst in the winter, we have twice-weekly direct flights to The Gambia from Gatwick on a Tuesday and Friday plus additional flying over Christmas. Please Note: If special assistance is required to board the aircraft, please advise us at the time of booking. Manchester International Airport is situated 10 miles south of Manchester city centre. Manchester Airport is one of Britain's, and the world's principal airports, handling millions of passengers each year, connecting the North of England with global destinations. In the winter, we fly once a week to The Gambia from Manchester on Wednesdays. Manchester International Airport is also served by regular services from the following airports in the UK, Ireland and Channel Islands. The airport is directly accessible via J5 off the M56 and is well served by train, bus and coach services with good road links for those travelling by car. The airport offers a wide choice of long and short stay car parks, all located on-site. There are two petrol stations/mini-supermarkets located at Terminal 1 and Terminal 2. For passengers requiring special assistance, there are designated parking facilities next to the lifts in all the multi-storey car parks. Additional support is available using the telephone on level 5 of the Terminal 1 car park. Special Assistance should be booked prior to departure with us but for general enquiries regarding special assistance at the airport contact Airport Customer Relations on 0161 489 3000. Birmingham Airport is located eight miles east of Birmingham city centre, at the centre of England and the centre of the UK's motorway network. In the winter, we have twice weekly Tuesday and Friday direct flights to The Gambia from Birmingham (Tuesday and Saturday from Winter 18/19). From Birmingham city centre take the A45 east towards Coventry. From the south or north of England take the M42 (which links to the M40 and M1 from London, M6 from Manchester and M5 from the south east). Come off at J6 taking the A45 towards the city centre. The Airport turnoff is only one mile and is well signposted. There are various Birmingham parking options available; long and short stay and meet and greet parking options. The long stay Birmingham car parks are located off airport but courtesy buses are provided as necessary. There are several Birmingham meet and greet or chauffeur services offered which will mean your car being collected by a chauffeur as you arrive at the airport, stored securely off airport and then returned to the terminal for when you arrive. Special Assistance should be booked with us prior to departure. For information on how to get to/from the airport, please see the Birmingham Airport website. Banjul International Airport is the airport of The Gambia. Facilities include a bank, restaurant and bar, post office, duty-free shopping and a tourist help desk. There's also an air-conditioned lounge which is included for Star Service passengers or may be available to purchase at a supplement. This is included in the cost of your flight/package. On 7th October 2010 the Gambian CAA announced the introduction of an Airport Development Levy of €20 (or equivalent) per person, excluding infants and transit passengers. The Levy is included in the cost of your ticket/holiday and will not be payable locally. On arrival at Banjul Airport, a bus will take you from the aircraft to the terminal building. There will be two queues - one for ‘Nationals of The Gambia’ and one for ‘Others’, to go through passport control where your immigration card will be collected. You may have your photograph or fingerprints taken here. Once you've gone through passport control, you'll see the luggage conveyor belt directly in front of you. There are porters dressed in green who will collect your luggage from the conveyor belt and take to the coach for a small tip. The baggage may not arrive immediately so please bear this in mind. Upon leaving the baggage collection area, you'll need to have your luggage scanned by X-ray. You'll then see Gambia Experience representatives near the airport exit, who will point you in the direction of the car park where the transfer coach will waiting to take you to your hotel. 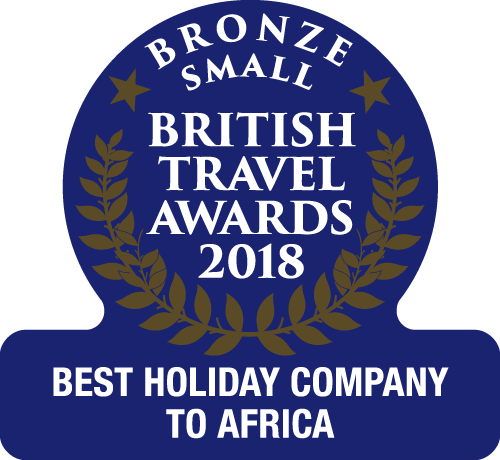 All baggage dimensions and security procedures also apply when returning from the Gambia to the UK. Please ensure you follow the same guidelines and place any liquid items within your hold baggage. Medicines should always be carried in hand luggage.